We offer the safe and unique experience of a family session. 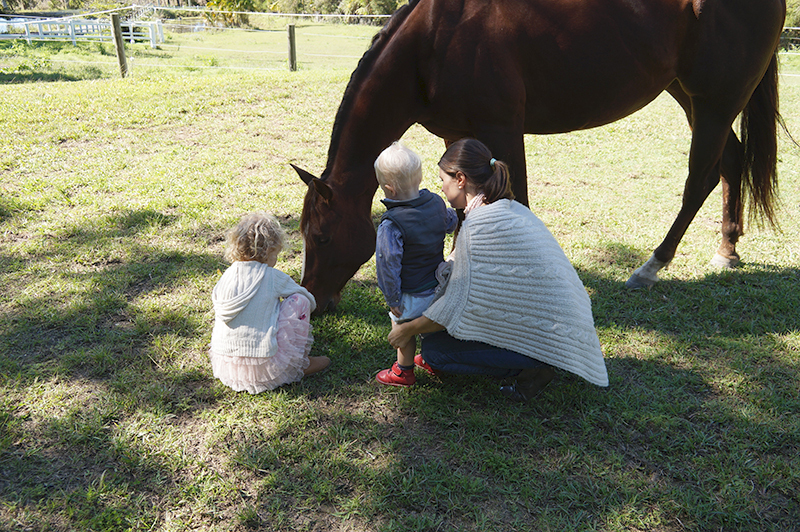 Experience the magic of personal development with horses as a family unit. The benefit of a family session is that it can be specifically tailored to focusing on the areas of your family, that you are seeking to transform and empower. Enhancing your family dynamics and improving interpersonal relationship skills within your family. Experience or knowledge of horses is not required. The only requirement is an open mind and a willingness to engage. Even people with a fear of horses can benefit from this work. The horse is simply there to help facilitate the process. 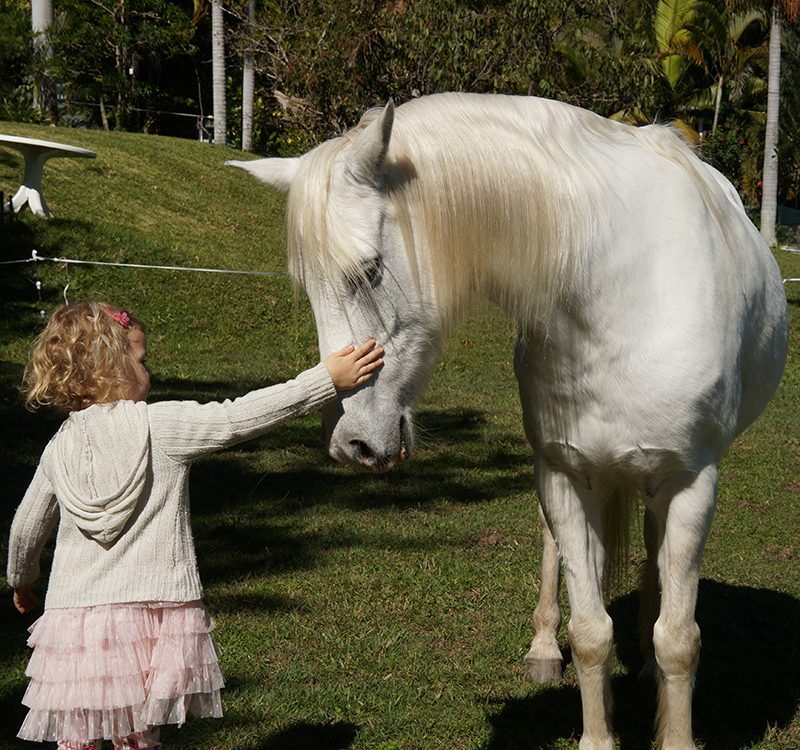 Horses have a unique ability to perceive and mirror human emotions, which allows them to provide authentic feedback, this feedback is interpreted by the facilitator and used to direct the process, assisting you in discovering your gifts and transforming your life. It is important to understand that we are not trying to ‘fix you’ or solve your problems, rather, the horse and the facilitator are gently holding the space for you to achieve more understanding of yourself, more knowingness of your own behaviours. Supporting you as you co-create a new way of being. The emphasis is on learning how to thrive rather than simply survive! Our Approach involves selecting from a variety of experiential based activities, which will help you meet your needs. Find out more about these activities. We want to spread the word and let people know about the healing powers horses can have! So, for a limited time, we are offering an introduction session. If you want to give EFL a try, but don’t know if it is for you then this is your opportunity to check it out! Come and meet Ben and our horses and let them support you! The introduction session is ONLY $60 for 1.5 hours with Ben and the horses!! Usually $150, you save $90! Please make sure you use the code INTRO when booking your session. Give us a call or email us toady. We are here to answer all your questions or discuss your concerns. All Session prices include GST and are listed as total.